You should know by now that I like to analyze anything written; I guess you could call it an instinct. 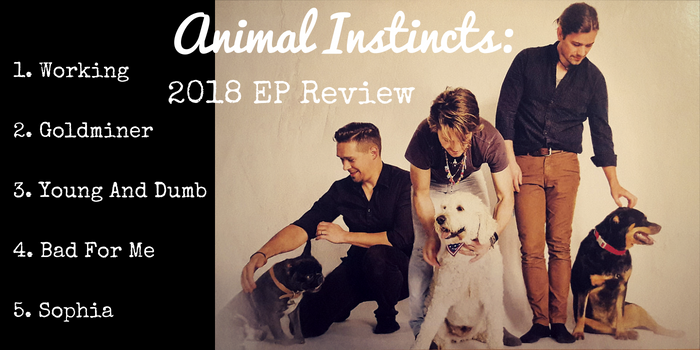 That being said...in my "professional" opinion, I have no idea why this EP is called "Animal Instincts." I tried. I looked up definitions (instinct. noun. : a way of behaving, thinking, or feeling that is not learned : a natural desire or tendency that makes you want to act in a particular way). I read the lyrics. And I found nothing in particular that makes the subject matter in this group of songs any more instinctual or primal than any other songs. I suppose you could argue that wanting to stay young and opportunistic is an innate trait in most of us, or that love in even the worst of conditions is an animal instinct that is hard to overcome. But gold digging? Enjoying your weekend? Being attracted to flighty girls? My official comment on the title for this EP is that I'd love to pick Hanson's brains for the reasons behind their choice, because I'm personally at a loss. (Maybe we should have asked that question instead of Taylor's shoe size or whatever during the Q&A at Hanson Day, but that's neither here nor there now). I trust that there's a reason, but my red pen couldn't find it. This is the most 50's rock 'n' roll/Jerry Lee Lewis sounding song we've ever gotten from Hanson, and the studio recording doesn't do the live version justice. It's a fast-paced Isaac lead and is basically the non-Christmas version of "Til New Years Night" with way more piano. And man do I love that piano. I probably won't seek it out often on iTunes, but I'll be rooting for it to make an appearance at any and all future fan club shows. Best lyrics: "Monday, Tuesday, Wednesday, Thursday, Friday in my Sunday best." Every time I try to think about this song, I wind up singing "Ghostwriter" to myself instead. I'll trust that you can hear the similarities without me listing them. 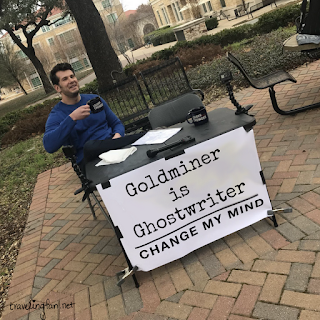 The best part of Ghostwriter Goldminer is the clever wordplay in the line "She's a goldminer, stealing your cents, robbing you blind" because she's stealing both your money and your sense (homophones ftw!). My other favorite part is when a friend ruined it (aka made it better) by pointing out that the first line kind of sounds like the girl in the song is a prostitute, and now I can't help but hear the whole song in the context of a guy who just wants to pick up girls but can't tell a prostitute when he sees one. And on that note, let's add "Working" to the list of titles I will inevitably confuse with this song. "Out on the town, you're looking for love. What can you say? How can you tell? What can you trust? What can you do? How do you know? Who's out for blood?" 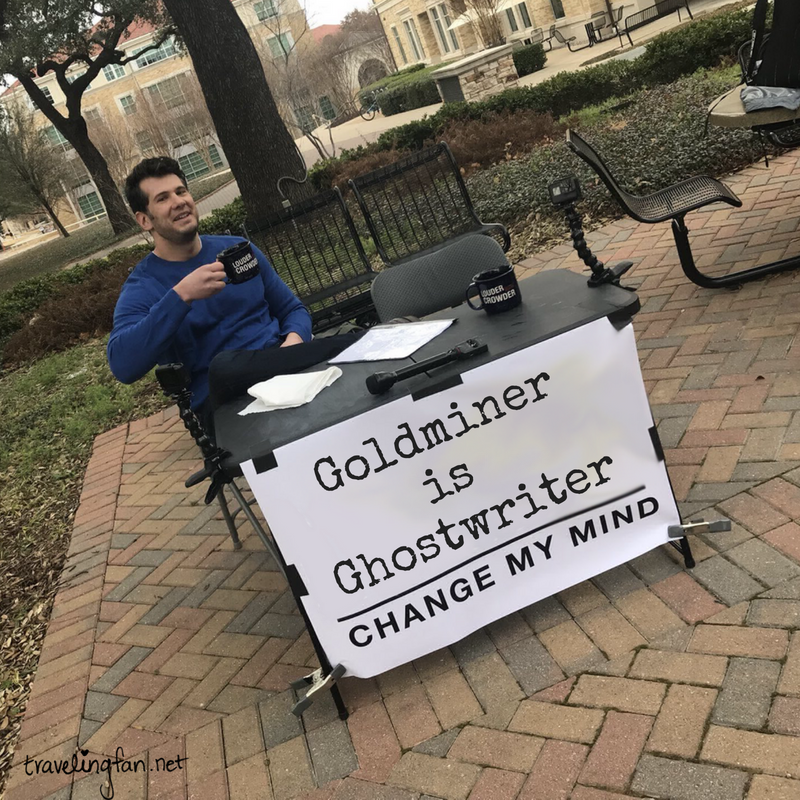 Best lyrics: "She's a goldminer/ stealing your cents/ robbing you blind"
This is the part where I try not to go all "Feeling Alive" on you again and wind up with a full separate post about this song. "Young and Dumb" is definitely the breakout song of this EP, and it's full of lyrical gold. My first reaction to the title was a flashback to 10th grade English class and Daisy Buchanan's comment in The Great Gatsby when she learns that her new baby is a girl: "I hope she'll be a fool – that's the best thing a girl can be in this world, a beautiful little fool." Of course the context is completely different and "Young and Dumb" isn't social commentary on a sexist world, but the basic idea of romanticizing ignorance as bliss is there. To be fair, I don't really think being "dumb" the way Hanson is using it is synonymous with literal ignorance. Dumb in this case means not yet jaded by the world; it represents the idea of being younger and a little more naive and wide-eyed in a hopeful way. They're not advocating for stupidity, just reminiscing about a simpler time when most of us had a lot less worry and a lot more optimism. It's nostalgia for the kind of innocence Adam and Eve had in the Garden of Eden before they ate the forbidden fruit and their eyes were opened to all of the evils possible in the world. My reaction after hearing the whole song and seeing the full lyrics is that it's a more accurate perspective of how I've always felt about "I Was Born." I'd rather be young and dumb and surrounded by the possibility of still being able to believe that I was born to do something no one's ever done before. The reality is I'm not, and I can relate to this song so much more because of it. "Young and Dumb" is practically someone narrating how I felt while listening to "I Was Born" for the first time. Best Lyrics: For a song about missing being young and dumb, it sure is packed with great lines full of wisdom. I might as well paste the whole song here. "Been a hero and a deadbeat/ A pencil pusher and a piece of meat/ Wish I could forget what I know"
"And when my eyes are clear/ I see good intentions are a cheap veneer/ For every evil justified"
"It's hard enough to know it's not enough to know better"
I'm actually surprised I like such a sad song, but I really do. It's about a heartbroken guy that is finally realizing he's in a bad relationship with a girl that clearly doesn't value him the same way he feels about her. I think I like it because it doesn't have the expected ending where the guy finally decides to move on, or the unrealistic happy ending where the girl sees what a catch he is and suddenly becomes worthy of his affection. He never follows "Now I see this love's bad for me" with the logical "so I'm leaving;" he just acknowledges the truth of his situation and we as listeners get no resolution. Maybe he stays, maybe he doesn't. All we know is he loves this girl whether she deserves it or not, and he seems resigned to that fate. It's kind of romantic in the saddest way. Best lyrics: "When you love someone it's easier believing in the lie"
The lyrics remind me a little of Billy Joel's "Always a Woman" where you get the list of potentially infuriating character traits that somehow wind up being endearing when you're in love with the person, but I'm not buying it. Sophia just sounds kind of annoying as a person, though props to her for still being songworthy. Her most redeeming quality is how her name sounds when Zac sings it. Check out the final episode of The H-Bomb Show podcast June 8th to hear more EP talk. I keep hearing "'Til New Year's Night" when I listen to "Working". And I completely agree about "Young and Dumb". You always do such a good job, Holly. I haven't gotten my copy yet, but I'm pretty sure I'll agree with what everyone's been saying about "young and dumb"! Super curious right now! And I'll listen to the podcast!! !